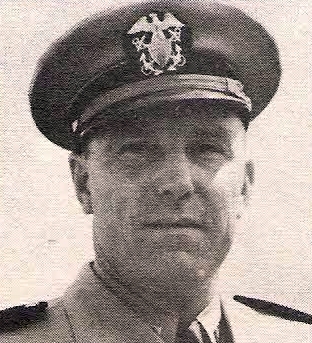 Lt. Robert L. Moore, son of Mrs. Elma Moore, Graham, husband of Jewell Jones, graduate of TCU. Entered Navy, 1943, trained in Fla. and Cal. Served in Pacific. Awarded APO, ATO and Victory Ribbons. DIscharged in 1946.